My interest on Old-Timey Music sprung from hearing Woody Guthrie show how to tell a story in song, …. and meeting the late Brian Leahy in Jemmy Winters’ pub in Newfoundwell. Brian was getting a few bob for playing the guitar, and a nice big Harmony it was. As we started to develop our interest in the music we gravitated eventually to Carberry’s Pub in the North Strand. At the time the pub was an early house and rings was the game of choice. Caitlin, being a musician herself and steeped in her own music and culture welcomed us in with open arms. We used to congregate up near the mirror away from the rings board, and when Caitlin had the house cleared at closing time, we would be invited into the Kitchen to play and listen to music for as long as we wanted to. Caitlin would listen ot our music and play some of her collection of LPs. 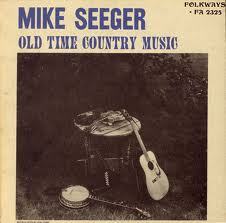 One particular LP in which we rapidly developed an interest was a Mike Seeger album, issued in 1962 titled ‘Old Time Country Music. On this album we heard for the first time the guitar and autoharp sound of the Carter Family, the slide guitar style of Frank Hutchinson and Seeger’s adaptations of classic ballads like ‘Lord Thomas and Fair Ellender’ . On this LP Seeger captured the essence of Old-Timey Music. Coincidently, the Watery Hill Boys have recently recorded ‘Oh My Little Darlin’ from Seeger’s LP for release on their new Album , due for release in summer 2013. Anyway, back to the sixties… we developed our playing and harmonising and started playing around Dublin venues like Slattery’s in Capel Street under the name of Ragged but Right and in 1970 were asked to make a recording for the CMB label. 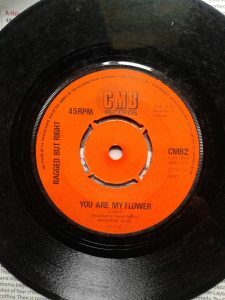 And this was it…………..on the ‘A’ side a Carter family song ‘You Are My Flower‘ and on the ‘B’ side ‘Ragged but Right‘ learnt from a Greenbriar Boys recording. 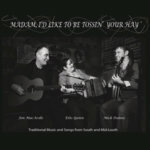 On this momentous recording were Jim MacArdle , guitar autoharp and vocals,Brian Leahy, guitar mandolin and vocals and not forgetting Gerry Cullen vocals. 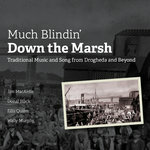 After achieving some good airplay on RTE, the record sank without trace, but here it is…. 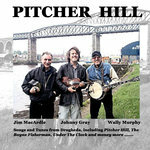 We formed The Watery Hill Boys in 2011 and recorded our first CD in 2012. We have toured extensively across Ireland and Europe, and are currently (May 2013) recording our second album. The Watery Hill Boys are Donal Og Black,Neil Conlan and Jim MacArdle.